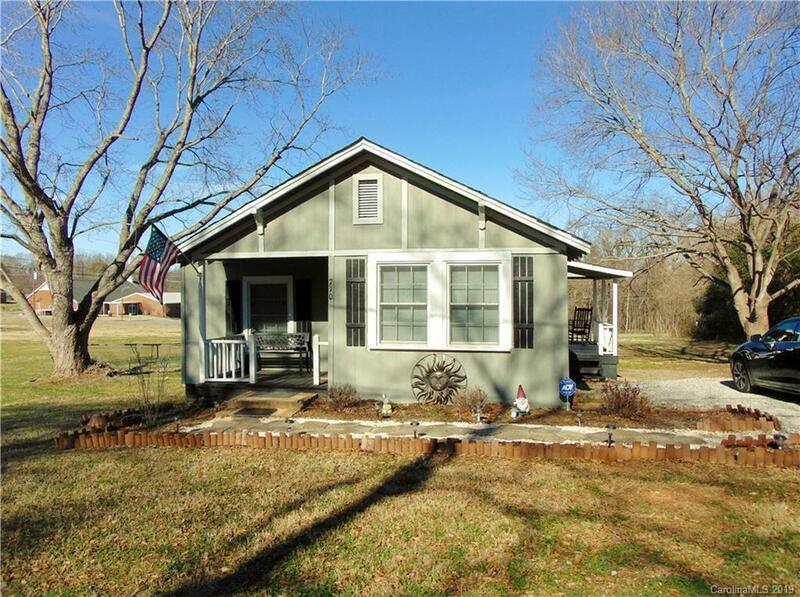 Adorable cottage in Convenient location just off hwy 74, 5 mins to I85! 15 mins to clt airport, renovated bungalow, open floorplan, new flooring, fresh paint, very cute renovated kitchen with granite countertops, renovated bath,, new electrical work, new plumbing work, roof, wh and 8x8 building new in 2017, new energy efficient windows front and sides of home in 2018, very nice level lot, fenced back yard! w/d, fridge to remain, 2 porches, Great schools! This home is a must see!